The Six Senses resort on the private island of Félicité comprises 15 Resort Villas with their own infinity pool and ocean view, 3 Oceanside Bars, it’s own helicopter pad as well as a small number of luxury hillside Private Residences, each with their own acrylic base pool. 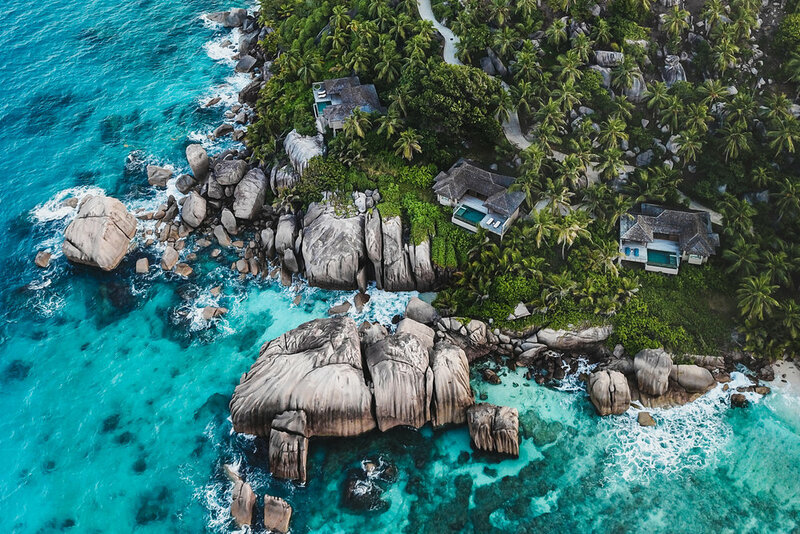 Zil Pasyon’s architecture is designed and built to settle discretely among the Islands’ unique granite boulders. The phrase, '“We will have succeeded if nothing can be seen from outside the Island” was a starting point for this project which began with a Concept Design in 2005, reaching final completion in 2017. The Challenging natural terrain of Félicité Island had to be incorporated into every architectural decision. Before construction could begin, huge swathes of invasive vegetation were cleared from specially selected sites across the island as part of the long term ecological management plan, this was later replanted using indigenous species, some of which had become extinct. ZIL PASYON HAS BEEN FEATURED IN THE FOLLOWING; VOGUE FRANCE, VOGUE AUSTRALIA, CONDÉ NAST TRAVELLER, DEZEEN, COUNTRY LIFE INTERNATIONAL, THE TELEGRAPH, THE TIMES, EVENING STANDARD, LE FIGARO, FORBES, tatler, wallpaper, aspire, maison australia, money week, professional spa and wellness, the luxury traveller.